Home » PostNL, a company with future? PostNL, a company with future? 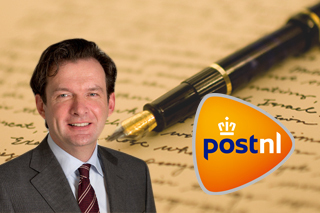 An exclusive interview with Jan Bos, CFO of PostNL. Jan Bos talks about several topics within the company and the mail market. He gives us insight in the risks and opportunities of the market and what this means for the future of PostNL. Could you tell something about yourself and the career paths you chose? I have studied business economics and fiscal economics at the University of Groningen. I especially have chosen for Groningen because it was known as a great student city and for the small scale of the university and its campus. Besides my study I have been working as a student assistant. 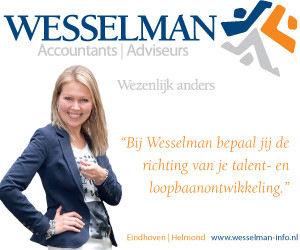 After receiving my university degree I first started working at Horlings in Amsterdam and during my time at the internal audit department at KPN I obtained my Chartered Accountant degree. Since KPN’s splitting of the postal and telecom division I always stayed at the postal division. First I worked as a controller of the International Business Unit. From 2000-2003 I was a member of the M&A department and after that I was Finance Director of the Domestic Business Unit. As of 2007 I was CFO of the mail division of the TNT concern until 2011 when I became the CFO of PostNL. There is no normal pattern in my working day, besides to the regular meetings with the board of management and the executive committee. My agenda is based on the subjects that are currently important. For example negotiations for a new collective labour agreement, pensions, regulation or our TNT Express share. I find the variety in work the most enjoyable. Every time there is a new challenge to work on. For example the split of TNT in PostNL and TNT Express, our strategy launched in 2013 to improve the operational results and financial position of PNL, or the agreement with the unions and pension fund to lower the risk of our pension obligation for our company. Nowadays we are busy to make sure that we restart paying dividend again and in establishing new growth platforms for PNL. Last year the postal market declined with 10,7%, how do you expect the future of this market? Our expectation is that until 2017 there will be a decline between the 9% and 12% every year. Roughly 7-9% of the decline is due to the substitution to digital alternatives and 2-3% is a result of competition. We focus on the stabilization of our market share at 75%. We compensate the volume decline with cost savings and price increases for our mail services which are inevitable given the decline rates. Are you looking at mail markets in other countries to learn from them? In Germany, Italy and the UK we are the competitor of the national postal carrier. There we are using new technologies that can be implemented in the Netherlands. For example in Italy and the UK we use track and trace for letters (to check the delivery of your mail). Furthermore we use the efficient sorting and delivering knowledge of PostNL in our businesses in other countries. What sort of decisions come to the board of management and how is the decision making process? The management teams prepare decisions about significant contracts, investments, regulation, acquisitions etc. and present their advice to the board of management consisting of our CEO, Herna Verhagen, and myself. Based on their advise and when necessary the advise of our staff (like Finance, Legal or Treasury) we make decisions. Mainly strategic decisions or decisions that can impact our reputation or have a great financial importance are made by us. Last year the parcel division increased with 8,8% how will you hold on to those growth numbers? We always try to maintain our markets share, and were possible increase it. This growth in parcels is mainly due to the increase in E-commerce. Our innovations contribute to this increase with for example our evening and Sunday delivery. Furthermore we introduced www.mijnpakket.nl. On this website you can monitor the delivery of your parcels, change the delivery time or choose for delivery at one of our pick up points or another address. Already 3.5 million customers subscribed for this service. In this way we make E-commerce even more attractive and reliable. PostNL is also working with Pick up points for parcels, can we find more of those points in the future? With the option to collect your package at a pick up point we try to bring the customers more in control of their delivery. Traditionally we have many post offices however if the government adopts the new postal act next July we can reduce this number. We will then further increase the number of pick up points at easily accessible locations were you could drop and collect your parcels. The number of pick up points and postal offices will increase to 3000 locations in which we are and still will be the biggest in the Netherlands. In this way the customers are able to choose the most preferable time and location, either at home or at one of our locations. In what way are you engaged with the share price of PostNL? We are driven by implementing a strategy that increases the value of our company and thereby contributes to the value of our share. However there are things where we have less influence on like our TNT Express share and the development of the interest rates that at this moment has a negative impact on our pension obligation. We feel support of our shareholders in our strategy to make PostNL a financially healthy company that will be able to pay dividend again in 2016. We just had our shareholders meeting. Here we presented the results of last year and our view on 2015. Furthermore we asked for discharge for our implemented policy, the financial statements 2014 were adopted and the supervisory board re-appointed the board of management. A group of small shareholders was present and the major shareholders authorized the notary to vote for them. Since our results were positive it was a friendly calm meeting. Are there disadvantages to be the best-known postal company in the Netherlands? There are no major drawbacks however since we are a large public company we have a lot of stakeholders. A lot of people in the Netherlands depend on us. We always try to serve all our stakeholders in the best way to keep and to maximize the value of our company. With the announced sale of the TNT Express shares to FedEx, PostNL will receive a huge sum of money. What is going to happen with this money? In 2011 TNT split up in two separate companies: TNT Express and PostNL. The focus of TNT Express is on the express business in which parcels for worldwide business-to-business markets have a short delivery time. PostNL focuses on the post and parcel delivery market mainly to consumers and on the international parcels in which a longer delivery time is allowed. With the split all the debts of TNT, 1,6 billion, came to PostNL and to compensate for this PostNL received a 29,9% share in TNT Express. In 2013 we sold a number of shares by which this debt decreased to 1,2 billion. With the announced sale, which we expect to be completed in the first half of 2016, we will further decrease our debt. In the future we expect a net debt of between the 300-500 million euros in order to get a share BBB+ credit rating which is suitable for our company. Do you believe PostNL is also a takeover target? In the market there have always been speculations that postal companies have to merge. However the last 20 years we did not see such a thing. Since every postal company has to deal with its own market, regulations and social issues it is difficult to merge. How do you see the future of PostNL, what risks and opportunities does the market have? The risk is the already declining traditional postal market and the pace of this decline. The opportunity lies within the growth of the parcel market, domestically as well as internationally, where we expand our service offerings for example via extra@home where we deliver large parcels, like washing machines and where we also offer the installation service. We focus on a financially healthy PostNL based on a smaller but profitable mail business and a growing parcel business. What advice would you give to current and future economic students? The main thing is that you enjoy your time as a student. When choosing a job do not think too much ahead but choose for a job where you can learn something to discover and maximize the potential of your talent’s.